What is EMV and Why is it Important? The Key Objectives Of EMV Are To Reduce Counterfeiting And Fraudulent Transactions And To Standardize All Payment Solutions On A Singular Specification Recognized Around The Globe. 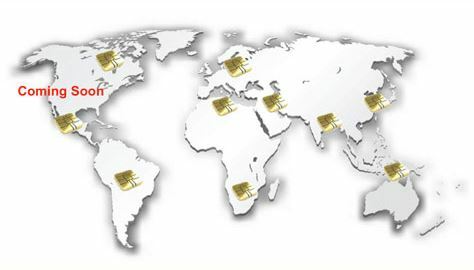 Commonly Used Globally In Place Of Magnetic Stripe, EMV Chip Technology Reduces Card Fraud In A Face-To-Face Card-Present Environment; Provides Global Interoperability; And Enables Safer And Smarter Transactions Cross Cards And Contactless Channels. American Express, Discover, MasterCard And Visa Have All Announced Their Plans For Supporting An EMV-Based Payments Infrastructure In The U.S., With Acquirer Processor Readiness Mandates To Support Chip Data In Place For 2013, And Liability Shifts For Managing Fraud Risk In A Face-To-Face Environment Set For 2015. EMV Is Designed To Significantly Improve ATM Security For Consumer Card Payments By Providing And Enabling Features For Reducing Losses That Result From Counterfeit And Lost And Stolen Cards. 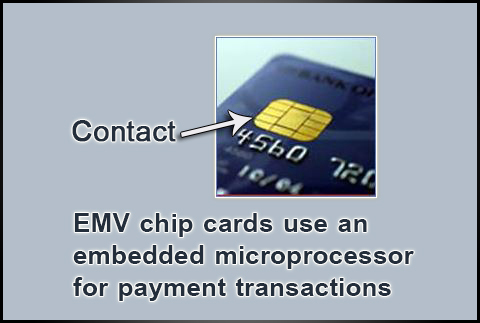 EMV Also Offers A Worldwide Technology Standard For Chip- Based Financial Transactions And Services. Globally, 36% Of Total Cards, And 65% Of Total Terminals Deployed Are Based On The EMV Standard. France Was The First To Pilot And Implement EMV And They Have Seen More Than An 80% Reduction In Fraud Since The First Launch. Fraud Always Migrates To The Weakest Link And In Each Region Where EMV Has Been Adopted, ATM Fraud Has Dropped Dramatically. The Data Is Indisputable: EMV Is More Secure Than Mag Stripe. As Countries Continue To Migrate To EMV, Fraud And Counterfeiting Activities Shift To Less Secure Places, Such As The United States. The Good News Is That EMV Is Coming Soon To US ATMs And POS Terminals. But “Soon” Is A Subjective Term. Most Industry Experts Agree The Primary Driver For EMV Migration In The U.S. Will Come From Issuers, As They’re The Ones Tasked With Replacing More Than A Billion Mag-Stripe Credit And Debit Cards. This Won’t Be A Singular Event – But Rather An Ongoing Process, Where Expired Cards Will Be Gradually Replaced With EMV Cards. The Shift Will Be Subtle, And The Cardholder May Not Even Be Aware Of The Change. You Should Be Aware Of Deadline Dates And Available Upgrade Paths For Your ATM. In Most Cases, An EMV Card Reader And Updated Software Will Be Necessary. If Your ATM Is An Older Machine, There’s A Possibility That There May Not Be An Upgrade Path And It May Be Time To Replace It Altogether With A New ATM That Comes EMV Ready With An EMV Card Reader. If This Is The Case, We Will Work With You To Make The Upgrade As Painless As Possible With Flexible Purchase Options.